For pre-weld heat treatment, Type K thermocouples are generally used. 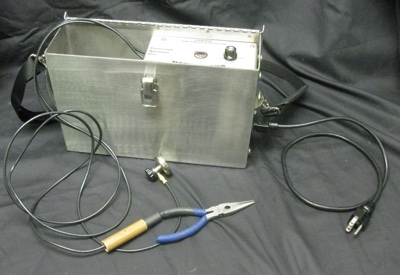 Thermocouples can be directly attached to the workpiece by spot welding the junction of Type K thermocouple wire. The attachment is done with the help of a TAU, or thermocouple attachment devices. Thermocouples are attached so that there is firm contact between the sensing tip and the assembly being heat treated.